If there were any doubts, his record-setting victory at Augusta National established Jack Nicklaus as the game’s dominant player and set the stage for greater things to come – and sooner rather than later. 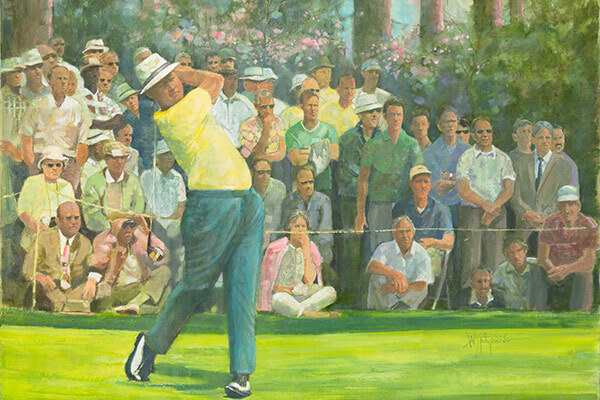 To put it simply, Jack Nicklaus overpowered Augusta National in 1965 and overwhelmed the field. His third-round, eight-under-par 64 tied the record set by Lloyd Mangrum in 1940 and his 271 total shattered Ben Hogan’s 1953 standard by three strokes. His nine-stroke margin of victory over Arnold Palmer and Gary Player broke Dr. Cary Middlecoff’s 1955 record by two strokes. If all that weren’t enough, he had just one three-putt green over 72 holes and his power reduced the 6,925-yard course to a shadow the numbers on the scorecard suggested. At the end of the tournament, it was left to Bob Jones to put everything in perspective, when he said, "Jack Nicklaus is playing an entirely different game – a game i’m not even familiar with."